This home has a strong rustic look with lots of elegant touches for a smooth finish. The brick panels play peekaboo with the robust wood and sleek white walls for a look that says 'stylish' with a capital S! 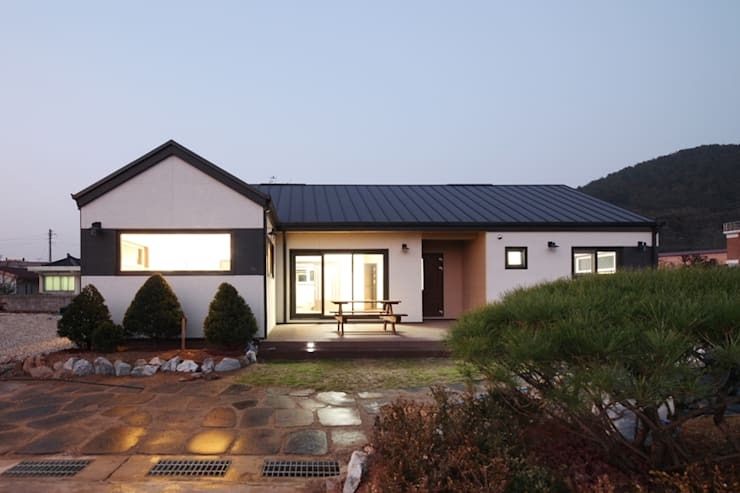 The slanting roof faces all sides of the property and finishes the aesthetic perfectly. This home is all about modern angles with an expansive feel. 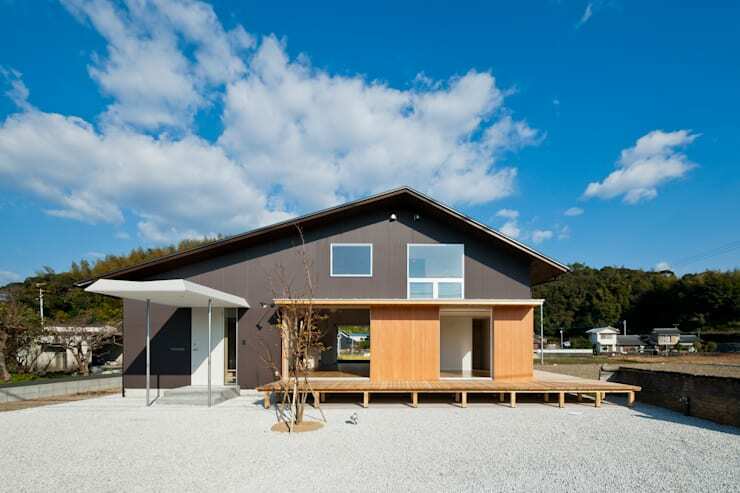 The entire slant of the roof is broken into three bits, with the various wings of the home placed in one straight line. The whole structure is pleasingly asymmetric in an artistic and modern way. The charm of wood never goes out of style, as can be seen from this beautiful structure. The home is a play of angles and finishes, with the various grains of wood offsetting each other for an eclectic yet cohesive look. Who said romance is dead? 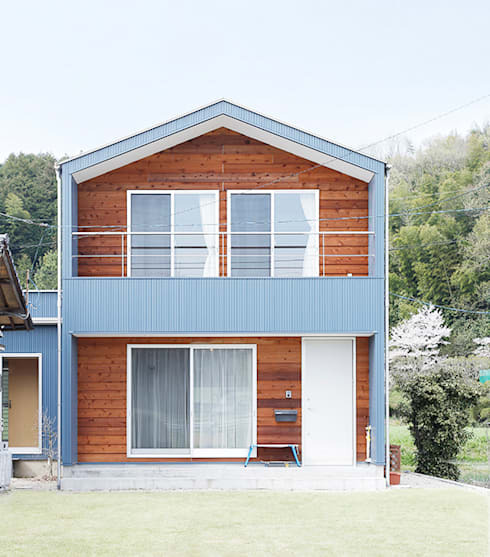 It's certainly very much alive in the pretty facade of this solid wooden home. The light blue hue drapes the frame of the home, starting from the very top. The slanting roof enjoys a splash of this colour before it joins other parts of the structure. 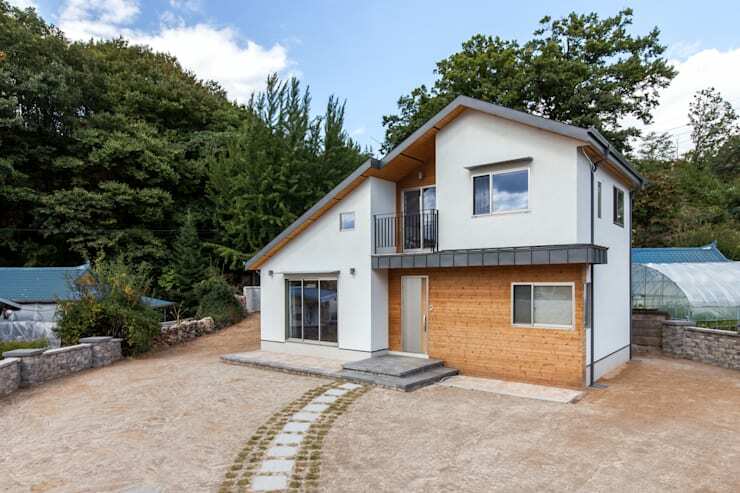 Simple and understated with a strong touch of the whimsical, this Nordic-style home with its asymmetrical slanting roof really captured our hearts. Next up is this simple yet pretty bungalow-style home. 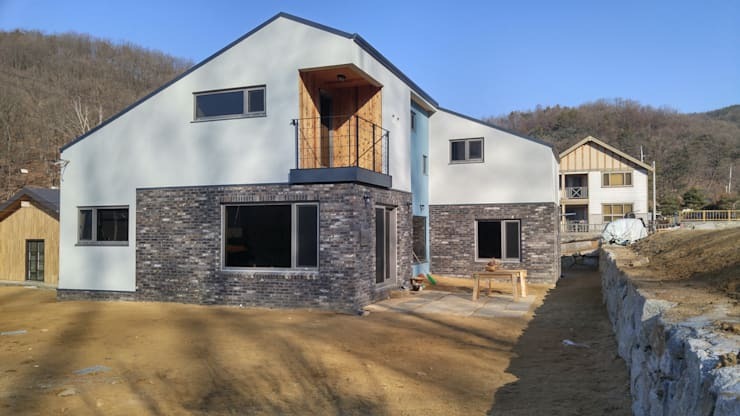 From the front, the slanting roof is set to the side, over one wing of the home. This results in a classic and functional look, which gives the home its timeless appeal. Here, the stone foundation goes all the way to the first floor, while exposed cement clads the rest of the structure from the slanting roof downwards. The effect is both modern and rustic, and decidedly chic. 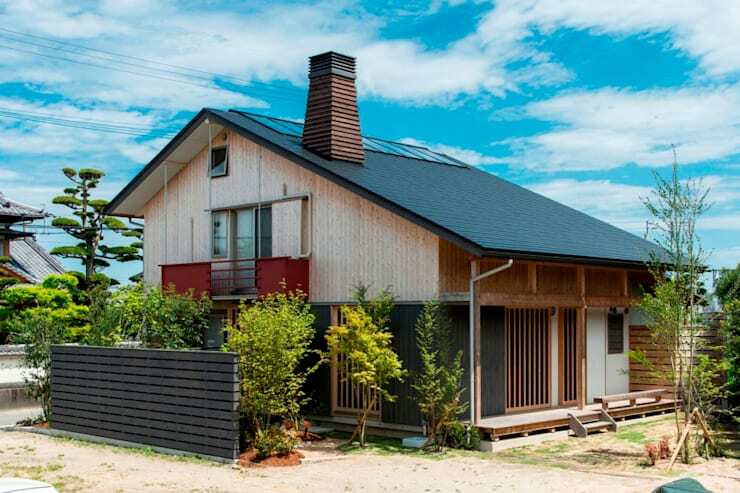 This house looks fresh from a storybook, with its wooden chimney stacked on the slanting rooftop. 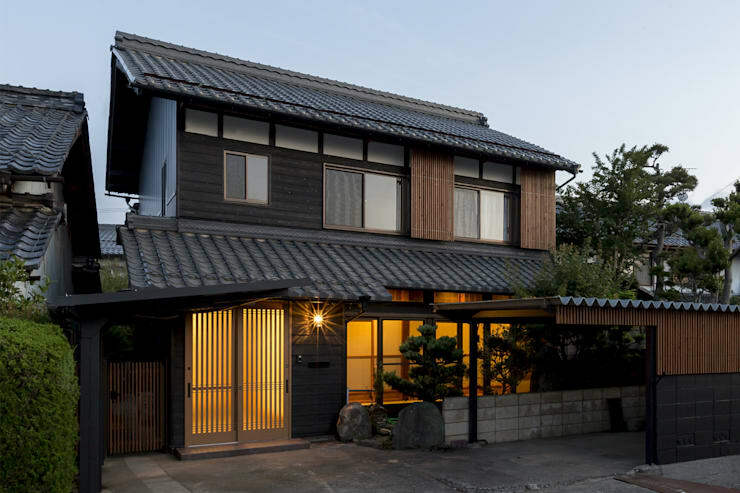 A traditional Japanese dwelling, it perfectly demonstrates the charm of such homes. 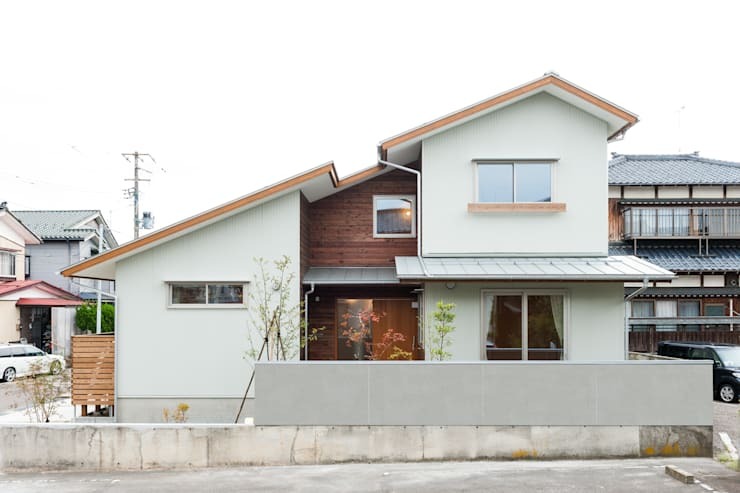 Another typical Japanese-style home, this two-storeyed abode is well-planned with dual slanting roof tops. The neutral palette of the facade offsets the warm glow from within. 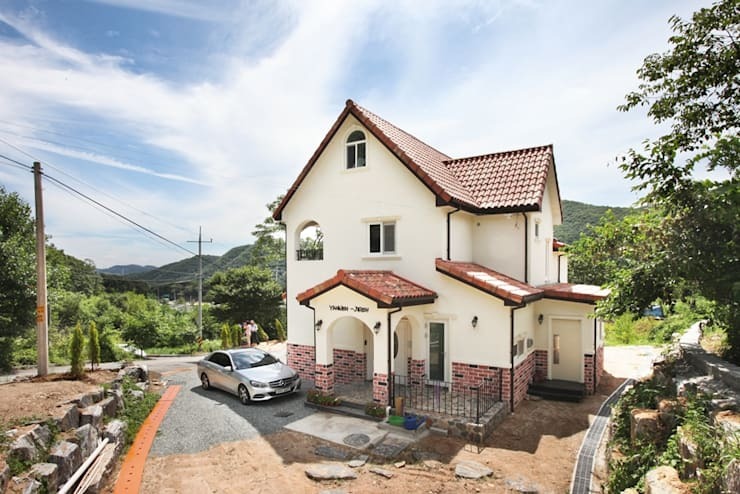 This home is a simple castle-like structure, bearing sloping rooftops above the facets of its main frame. The porch also adds a whimsical quality, and rolling hills form the perfect backdrop. Inspired by these picture-perfect houses? For more architectural delights, check out: 5 perfect small homes: inside and out! Are you a fan of this type of home?